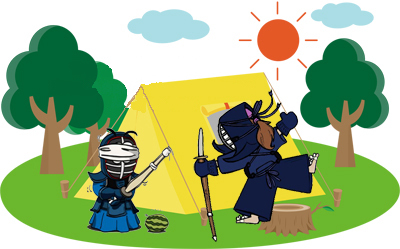 The Toronto Kendo Club’s 21st Annual Summer Camp promises to be full of good spirit and fun for all. This year’s camp location, we will be in Peterborough for the training and tent camping. Sensei Kimura will be leading us in a weekend of spirit building, practice and development. He will hone basic Kendo principles and skills, as well as, introduce special techniques challenging Kenshi at all levels. 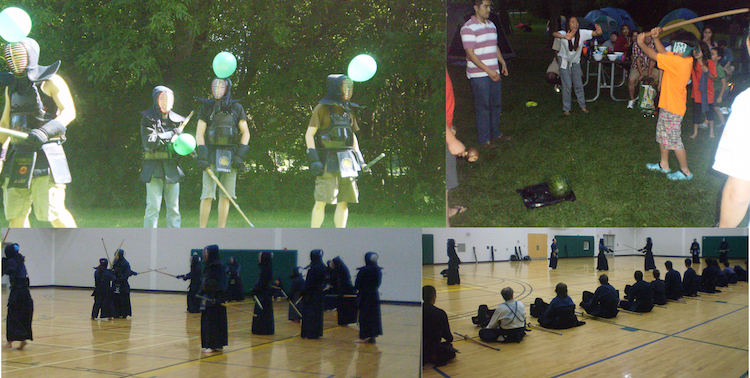 Participants can also look forward to the Kendo Games and the 21st Annual Kendo War. All ages and levels (bogu & non-bogu) are welcome. Non-practicing family members are welcome to attend and take advantage of the other activities/events around the area and share mealtimes with the kendoka. Space is limited, so please register early. Complete the Registration Form and send by July 26, 2019 or email us to let us know you will be attending and you can bring the form on arrival to the camp. Date: Friday August 2, 2019 to Monday August 5, 2019. – The first keiko is Friday at 7:00 PM. Please note this is the Civic Holiday long weekend and extra time should be allotted for the travel. Three meals will be provided each day at the camp as well as an evening ramen snack on Friday August 3, 2018 after the keiko. Please specify any food allergies or dietary restrictions when you register. Registration Fee: Covers camping & meals.